This week we’ll be hearing from Joe and Bekah Winger on how they and their Life Group extend hospitality to a refugee family who is a part of CHBC. I (Bekah) grew up in the Midwest, and Joe spent most of his growing up years in Colorado. The Lord brought us together through a mutual friend while we were both living in Indianapolis, and we were married in the summer of 2015. We moved to Durham in 2016 when Joe matched at Duke University for his clinical psychology PhD internship. Joe is now a postdoctoral fellow at Duke, developing and testing new ways of helping cancer patients cope with their illness and symptoms. I work in corporate accounting and financial reporting for a company headquartered in Raleigh. In our free time, we enjoy working on house projects (as relatively new homeowners), cooking together, game nights with friends, and spending time outdoors. We both grew up as pastor’s kids, and hospitality was a way of life in our families. We were not only in church every time the doors were open, but it seemed that, often, the church came to us in our homes in the form of inviting others in for meals, Bible studies, youth group get-togethers, and impromptu needs that arose. We both valued this up-bringing centered around the importance of community and knew that we wanted to carry that focus on hospitality into our marriage. In college, Joe was a chaplain for a men’s dorm, and I hosted and led a women’s Bible study after college for several years. We’ve been attending CHBC since summer 2016, and last fall, we felt the Lord prompting us to start a new Life Group (we’re still recruiting single young adults and young couples in their 20’s and 30’s!). We enjoy sharing not only our home with our Life Group, but also our lives. We do our best to live authentically in this community and create a safe place for people to be open about life’s challenges and struggles and, in turn, we all provide each other with encouragement and support. Before we started our new Life Group, we were members of Andrew & Betsy Satterlee’s Life Group. In the fall of 2016, Pastor Eric reached out to Andrew & Betsy and the leader of another Life Group regarding a refugee family in our church who were in need of rides to church and other assistance navigating life in the US. Lydie and 3 of her children came to the US in 2014 after being forced to flee their home in the Central African Republic (“CAR”) due to civil war and living for several years in a refugee community in Cameroon. Lydie’s husband and their two older daughters were inadvertently separated from them during their escape from CAR, and they did not reconnect for several years – and only via phone at that time. Since their arrival in the US, Lydie and the youngest three kids have been attending CHBC, and Lydie became connected through a women’s Bible study, while the kids became involved with The Yard on Sunday mornings. Until this January, none of the family members had their driver’s license, so rides to church, doctor’s appointments, etc. were the primary way our Life Groups began to serve Lydie and her kids over the past couple of years. Due to our proximity to their apartment, Joe and I provide rides for church each Sunday, but we quickly began to see that this was about more than just providing rides – we had an opportunity to really connect and love Lydie and her kids. We pray for and with them for their needs, we celebrate the kids’ successes in school, and we’ve invited them to our home for meals. 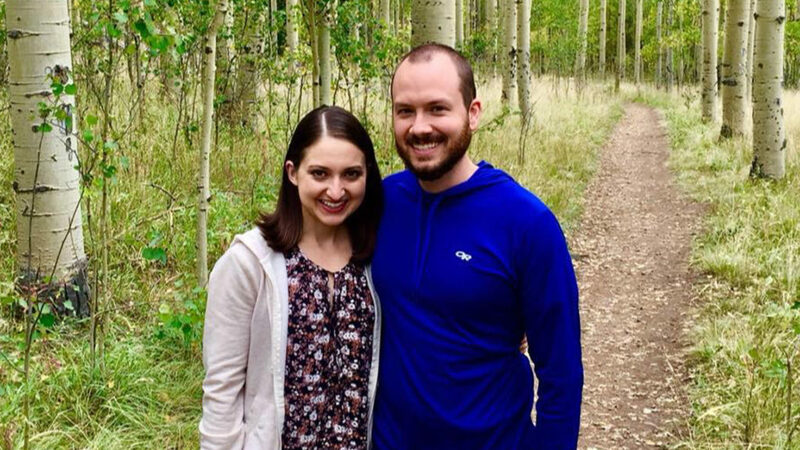 But this is certainly not about us – there are many others who have similarly connected with and served Lydie and her kids – Debbie Yamauchi, Janet Horton, Becky & Andreas Wierschen, Andrew & Betsy Satterlee, and others in our Life Groups and others at CHBC. “It takes a village” as they say, and we could not be more grateful for the support, teamwork, and sacrifice of time, energy, and resources that these fellow-believers have poured into Lydie and her family. Almost exactly one year ago, the two oldest daughters received their visas and arrived in the US! Their father is still awaiting his visa in order to join their family here. When the two oldest daughters arrived, it quickly became apparent that their housing situation would need to change. At that time, there were 6 people living in a 2 bedroom/1 bathroom apartment, which was an extremely cramped living situation. Shortly thereafter, we learned that one of the older daughters was pregnant, adding further motivation to find a better housing situation. As we and others looked into options, it was determined that the best short-term plan was to move into a larger apartment in their current complex. The baby’s due date was December 5th, and we originally believed they would be able to move on December 1st. God had other plans, however, and baby Josiah arrived on November 30th, a healthy and now smiley little guy! Meanwhile, we then learned that the bigger apartment would not be ready until mid-January. Knowing the already-cramped conditions of the smaller apartment and the importance of new momma and new baby boy having a quiet place to rest and recover, Joe and I prayed about what the Lord might be asking us to do. The answer was clear – God was asking us to be a peaceful place of refuge for this refugee momma and her new baby boy. So, on his second day of life, we welcomed new baby Josiah and his momma into our home to live with us until the bigger apartment was ready. To say we were nervous would be an understatement, and in a way, the whole experience still feels surreal. We do not have children of our own yet, so hosting a newborn and his momma who does not speak very much English was something we had never expected to come our way. But God knew what He was doing and provided enough grace for each day – in big and small ways – and we could sense His leading through that season. Lydie and the other kids helped with translating and communicating needs and spending time with Josiah and new momma during the day, and often one of the other daughters would stay overnight at our house in case of an emergency and to help with translating. Josiah and new momma stayed with us for 6 weeks, which crossed over the holidays, when we had already booked travel plans to see our families. But again, God provided – Andrew & Betsy Satterlee and Andreas & Becky Wierschen were willing to stay at our house and covered all the nights that we were gone so that Josiah and new momma would not have to up-root and move somewhere else for those 10 days. The excitement was palpable when the bigger apartment was ready in mid-January, and the family was once again together under one roof! We continue to provide rides to church on Sundays and connect with Lydie and the kids, and of course sweet baby Josiah! They refer to us as Auntie Bekah and Uncle Joe, and we couldn’t feel more blessed to be considered part of their extended family! God has been teaching us so much through our relationship with Lydie and her family. This is not just about what we have to offer to them, but we also feel that they have offered us a fuller perspective on the challenges that face refugees and those who are trying to navigate a new country with a new language and new social systems and cultural norms. We have been humbled by how blessed we are and how much we take for granted in our day to day lives. Through this experience God has convicted us of our self-focused habits and our desires for comfort, convenience, and control. It’s easy to serve others when it fits my schedule and my budget of time and resources, but what about when it starts to actually cost something? What about when it feels like a risk? Do we trust Him enough to surrender our schedules, our energy, our homes to the ways He’s asking us to use them? I would love to say that we always had a servant’s heart and positive attitude throughout those 6 weeks we hosted, but all too many times, I had to remind myself that “my life is not a story about me” and that God was calling us to sacrifice for the sake of the fatherless among us, whom He created and loves deeply. When our energy and time and patience grew thin, God brought to mind John 1:16 “For from his fullness we have all received, grace upon grace.” We are continuing to learn what it means to draw from His endless supply of grace, and we are confident He will be faithful to provide no matter what the situation or season. As a final note, Lydie and her family are still looking for a better living situation and would like to rent a house in Durham. Please reach out to us if you know of any leads in this area, as we would love to see them in a place big enough for them to comfortably live together, especially with Lydie’s husband arriving sometime this year, Lord willing. Thank you!